At flipkart.com you can purchase HTC Desire 620G Dual Sim (Milky-way Grey, 8 GB) for only Rs. 5,999, which is 23% less than the cost in Snapdeal (Rs. 7,802). 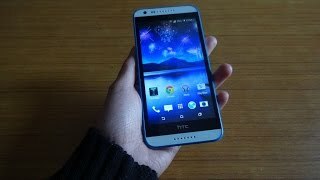 The lowest price of HTC 620G ( 8GB White) was obtained on April 20, 2019 5:38 pm. Please hit the helpful button if you find this review to be helpful! It helps a lot guys…..PROS: 1. This device from HTC supports the usual “HTC BlinkFeed” home screen which is very much customizable to suit your needs and desire. We really like this customization of HTC in most of their smartphones. 2. Even if this smartphone is HTC’s most value for money device, they did not compromise on their camera quality much. Infact, I was amazed by the photos and videos taken by its camera. Selfies from its front camera also came out to be sharp and clear. 3. Although the display resolution is not full hd, still its 720p display was not very bad for gaming, test rendering and video playback. Of-course, the display was not sharp as compared to full HD, but I didn’t notice pixelations in the display at all. 4. This device runs on HTC Sense 6 user interface, which is beautifull on this device. This user interface is not very resource intensive, which makes the user experience very smooth and rich. 5. I really like the trend of dual front facing stereo speakers in the smartphone devices for multimedia and gaming purposes. Those loud speakers were loud enough and the overall sound quality was good. 6. Battery backup was decent for such an 8-core processor in this device. CONS: 1. Some users are experiencing problems with its headset. 2. The device is a finger print magnet. This is the reason, why some people do not like glossy finish smartphones. 3. There are several third party apps which can not be uninstalled(if not rooted), making the device bloated unnecessarily. 4. Nowadays, people prefer to have a stock or near-to-stock android user interface(mostly because of performance boost), this demand can not be fulfilled by this device. I love this product. It meets every aspects I wanted in my phone. Lets not go too much technical with it, I just want to say, it feels good in my hand, the pictures I am taking are satisfactory, I have no problem with the networking, battery is working good and graphics looks good too. Though, I have not have tried 4G on this phone, but with Wi-Fi, my networking running excellent.